Join us this Easter (April 21) at Christ Church at 8:30 AM or 11:00 AM as we worship the Risen Lord Jesus Christ! For so many of us today, what we need most is hope. The uncertainty in the world, the economy, and our families can make us confused and worried. The good news of the gospel is that hope has come in the person of Jesus Christ. Jesus did not avoid the difficulties and problems of the world – rather He faced them head on. As the Son of God, Jesus came and dwelt among men, suffering for sinners. He was beaten, mocked, and ultimately killed – not for anything He had done, but instead to pay the price of sin for others (1 Peter 2:21-25). He was in the grave for three days, but death could not hold Him (Acts 2:24). 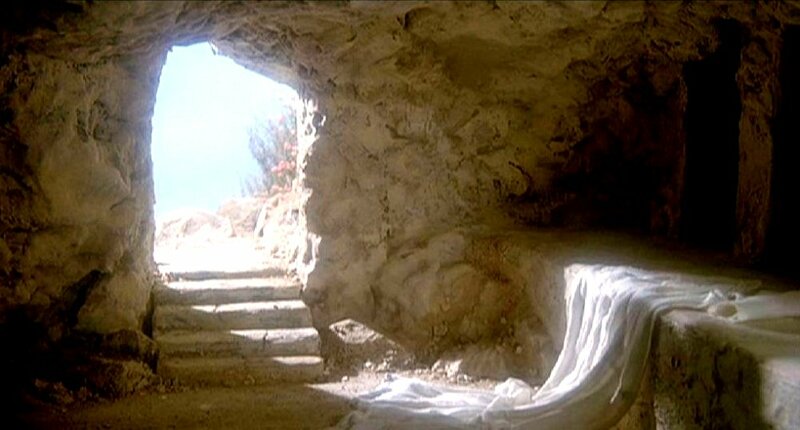 The empty tomb is God’s declaration of Jesus’ victory over sin and death: “it is finished!” We can know that we are forgiven because we believe in the One who "was declared to be the Son of God in power according to the Spirit of holiness by his resurrection from the dead, Jesus Christ our Lord" (Romans 1:4). You may be discouraged. You may be dismayed. But can you imagine what it must have been like on that dark Friday night for Peter and John, for James and Nathaniel, for all the disciples and the women who had followed Jesus for so long? Their hopes had been built up, only to be dashed by defeat and death. They had seen Jesus die with their own eyes; they had heard the hatred of the crowd with their own ears; and they had carried his body to the tomb with their own hands. Would hope ever return? Can you picture the travelers on the road to Emmaus as sadness overwhelmed them (Luke 24:17)? And yet the end of Christ's story had not been written. Hope does not come from politicians, armies, technology, or programs. Hope comes from the true and living God, who loves His children, and who has given His Son to redeem them from sin, death, and the grave. As we face difficulties, challenges, and heartache, we must not ever forget that the Lord has not forgotten us. Not matter what happens to oil prices or what rumors of wars abound, there is hope! As hard as Friday is, we must remember that Sunday's coming!